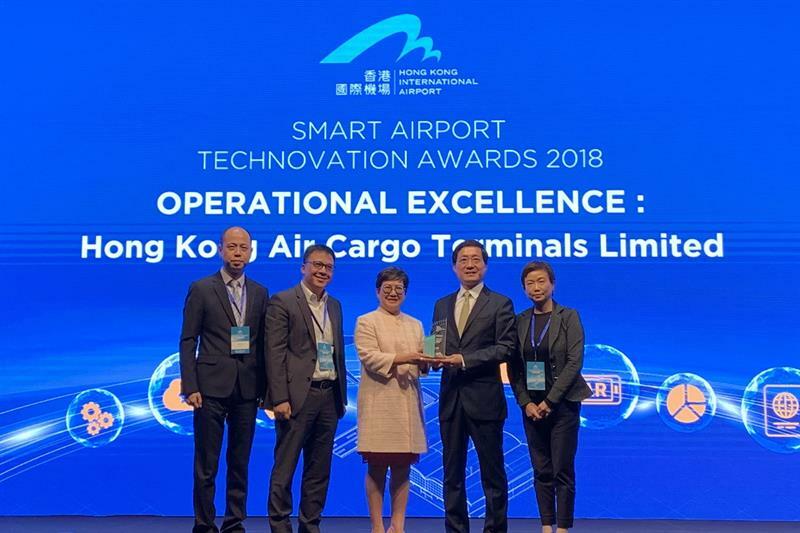 Hong Kong Air Cargo Terminals has received the “Smart Airport Technovation Award – Operational Excellence” in this year’s Smart Airport Technovation Awards organised by Hong Kong International airport. The cargo handler received the award in recognition of its “Smart Cargo Locating” project, which has recently gone live in the company’s SuperTerminal 1 facility. Smart Cargo Locating provides a fully automated tracking and retrieval system for loose cargo. A reusable ID tag is applied to the loose cargo on arrival, which is then automatically photographed, -weighed, and this data uploaded to Hactl’s COSAC-Plus cargo management system. A specially adapted Smart Forklift identifies the cargo, and carries it to the storage area. The Smart Forklift calculates its route using Hactl’s self-developed indoor GPS system. The precise storage location of the cargo is automatically uploaded to the cargo’s record in COSAC-Plus for operational use, and for analytical purposes. When the cargo is needed for pallet build-up prior to a flight, the forklift driver is directed to the cargo’s racking location and is provided with a photographic image to assist in identification of the cargo. The award was presented to Hactl by Fred Lam, Chief Executive Officer of Airport Authority Hong Kong, during the two-day Smart Airport – Technovation Conference and Exhibition, held at Hong Kong Convention and Exhibition Centre.